Raised on the Kenai Peninsula, Laurie started her career tagging king salmon on the Kenai River for ADF&G. After receiving a B.A. in History from the University of Wyoming and an M.A. in English from the University of Alaska, Laurie spent seven years abroad teaching and developing communication curriculums in Latvia, Japan, and Korea. Laurie has also formally studied East Asian Religion and Philosophy, as well as Interactive Design. Currently, Laurie is part of an Educational Doctorate cohort with the University of Missouri St. Louis, building a theory of change model that inspires social justice, sustainability, and a participatory culture in a world experiencing significant shifts in our human and natural ecologies. Laurie comes to the Pratt Museum after nine years at the Alaska SeaLife Center in Seward, where she led the Education, Interpretation, and Exhibit teams. In this role, she focused on methods for integrating marine science understanding in schools and public programs, with the goal of increasing civic engagement around issues affecting our shared ocean resources. Outside of the office, Laurie can be found on the trails or at the beach with her dogs. Scott Bartlett joined the Pratt as Curator of Exhibits in September, 2012. Scott’s community-based exhibition work draws from his experiences with various immigrant communities in the Seattle area, and with Tahitian musicians and craftspeople in Hawai`i. After studying anthropology and music at Washington State University, including stints at the University of Edinburgh and the Smithsonian Institution, he worked as an audio engineer, producer, and educator with Jack Straw Productions in Seattle. That work included a variety of oral history, heritage, and community arts projects. Scott went on to receive a Master of Arts degree in Ethnomusicology and a Graduate Certificate in Museum Studies from the University of Hawai`i at Manoa, where his graduate work combined those two fields. From 2010 to 2012 he served as curator of exhibits and collections with the Kitsap County Historical Society in Bremerton, Washington, garnering awards from the Washington Museum Association. He joined the Museums Alaska Board of Directors in 2016. Scott and his family love the sea and the mountains, and are thrilled to make their home in Fritz Creek above Kachemak Bay. Jennifer Bartolowits was born and raised on the Kenai Peninsula. She attended Ninilchik School and went on to receive a Bachelor of Business Administration in Accounting from the University of Alaska Fairbanks. Since graduation, Jennifer’s work has focused on the audit of design contractors through the lens of regulations compliance with State and Federal government. She loves the fiber arts and maintains quite the stash of yarn she acquired herself, old sewing machines gifted from family members, and bias bindings inherited from her grandparents. Her excel spreadsheet recording yarn yardage is deliciously accurate. Jennifer looks forward to bringing her experience and enthusiasm to the Pratt and to the greater Homer community. Savanna Bradley was born and raised in Homer, Alaska. 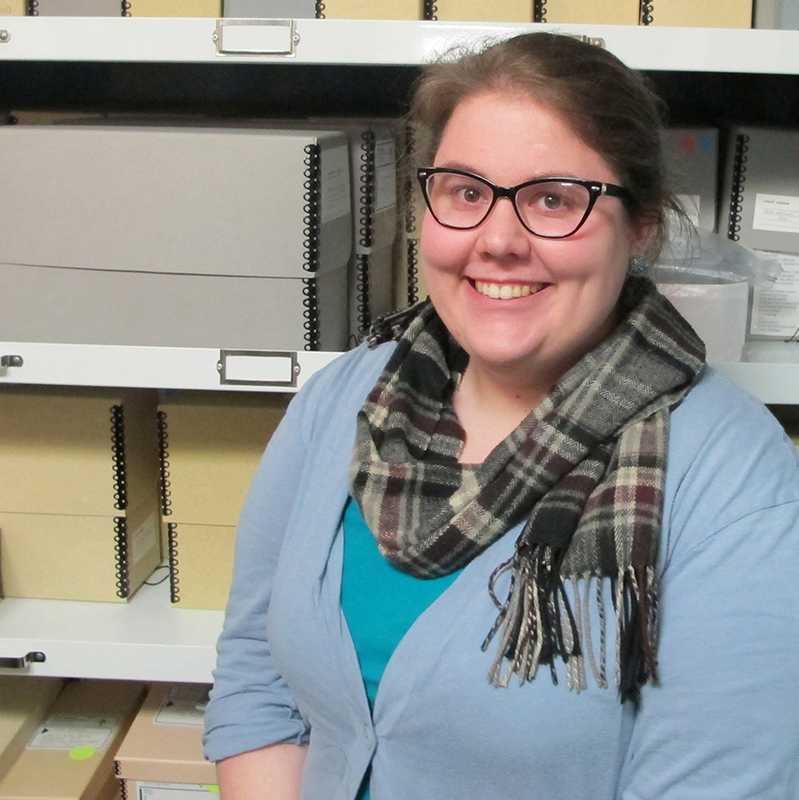 After an exciting summer internship at the Pratt during high school, Savanna was inspired to pursue a museum-related career, which led to her current position as the Pratt’s Collections Manager. She received a Bachelor of Arts degree in Art with a minor in Anthropology from the University of Alaska Fairbanks in 2010, after which she interned in collections for several seasons at the Pratt. Savanna received a Master of Science degree in Arts Management Museum Studies from the University of Oregon in fall of 2013. Her graduate research focused on collaborative care and the use of museum cultural collections in small communities. Savanna is excited to apply what she has learned to her work with the Pratt’s collections and our community. Outside of the Museum, Savanna enjoys creating art, beach walks with her dog, and spending time at coffee shops. 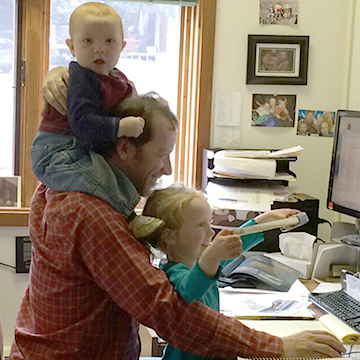 Art Koeninger enjoys a wide variety of tasks as Building Manager. Besides regular maintenance and repair of the four museum buildings, his responsibilities include monitoring the climate control, fire and security alarm systems; supervising and assisting garden, grounds, forest and trails staff and volunteers; maintaining the aquaria; and providing support for exhibit installations and gift shop displays. As a local metalsmith and jeweler, with decades of experience, Art has created many of the mounts for the artifacts and other objects in the Museum’s permanent exhibit. He also created the mounts and installed the exhibits at the Seldovia Village Tribe Museum, and has led a mount making workshop with Museums Alaska. Jeff is a professor in the History/Political Science Department of the Kenai Peninsula College, Kachemak Bay Campus. For the past five years, he has taught and created curriculum for traditional and online history courses at the University of Idaho, George Fox University, and KBC. Jeff’s book, The Criminal-Terror Nexus in Chechnya, dealing with the connection between crime and terrorism in the twenty-first century in Chechnya and the Russian Federation, is due for publishing in April 2017. Jeff’s interests in the Pratt have come from the good things he has heard from the community, especially his colleagues at the college, and are threefold. Firstly, he and his family love Homer and want to be a part of the community in any way they can, and the Museum is a place where he can use his skills. Secondly, being a newcomer to the area, he is interested in the history of the area’s peoples. And third, Jeff is committed to connecting the Museum with his future history and political science courses, and with the college in general. Ahnie Litecky is a historian who specializes in Native history. She has worked on research projects in diverse fields such as the oil and gas industry, environmental studies, psychology, and economics. She spent her first five years living in western Alaska where she developed a lifelong interest in Yup’ik culture. After earning an undergraduate degree in journalism, Litecky served as a U.S. Peace Corps education volunteer in rural South Africa for two years. At the University of Montana, Litecky focused her history M.A. research on how the Yup’ik grappled with the introduction of epidemic diseases. While living in Montana she also served for five years on the board of a non-profit dedicated to community-based pregnancy, childbirth and postpartum education. After spending three years in Cairo, Egypt, Litecky and her family moved halfway around the world to Homer in 2017. Litecky is excited to support the Pratt Museum’s mission of exploring and sharing the history of the Kachemak Bay region. Jason Davis is a retired U.S. diplomat who spent most of the past 25 years overseas, working at embassies and consulates in Israel/Palestine, Egypt, Lebanon, the United Arab Emirates, Malta and Belgium, with occasional stints at State Department headquarters in Washington DC. His foreign languages are Arabic, Hebrew, French, Italian and Farsi. After taking early retirement from the Foreign Service, Davis relocated with his family to Homer, where his children attend West Homer Elementary and Homer Middle School. Davis grew up on the Kenai Peninsula, attending Tustumena Elementary and graduating from Cook Inlet Academy in Soldotna. He has an undergraduate degree in biology and maintains an abiding interest in that field, particularly marine biology. He has fond memories of visiting the Pratt as a high school student in the 1970’s and hopes to draw on his years of experience in organizational management to make a meaningful contribution to the Board’s work . Clark Cripps is an insurance advisor with a background in risk management. He started his career in 2005, taking a position of higher education administration working at California Lutheran University, while living in Southern California. He has held several positions including, judicial officer, hall director, program coordinator and athletic coach. In 2010, he moved to Bellingham, WA to work at Western Washington University as an Assistant Director of Recreation. There he focused in assessment and risk management for the department. In 2016, he moved with his family to Alaska and then was recently re-located with HUB Northwest LLC as an insurance advisor to the Kenai Peninsula and resides in Homer. Most of his career knowledge has been centered-around risk assessment has turned that knowledge into a skillset as a business advisor. Cripps did his undergrad work in California and also completed a M.Ed. in Higher Ed (Azusa Pacific Univ.) and a M.S. in Clinical Psychology (California Lutheran Univ.). Cripps loves exploring Alaska and enjoys residing on the Kenai Peninsula. He has an appreciation for art and the history of this region. He hopes his background can provide a different perspective to benefit the board and business operations at the Pratt Museum. Monica brings 26 years of nonprofit leadership, formal and informal pedagogy, and museum community engagement experience. Her passion is focused on creating authentic community-led and intergenerational experiences based on relevancy, and she thrives in mobilizing teams to be catalysts for collective change. 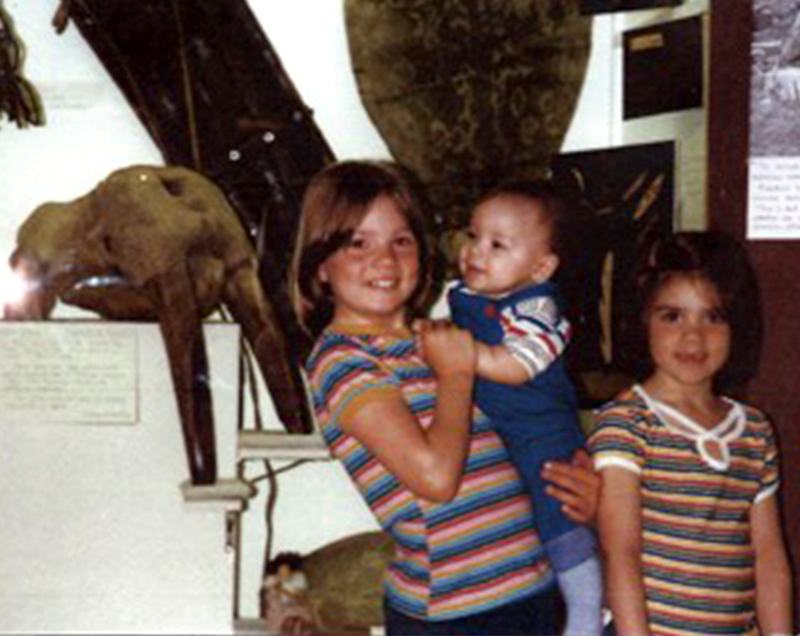 Most recently, Monica served as the Executive Director of the Alaska Museum of Science and Nature. Before that, Monica was Director of Education and Public Engagement at the Anchorage Museum for five years. Previously, she also served in leadership positions at the American Museum of Natural History, The Field Museum, Wonder Works – a Children’s Museum, and the Chicago Center for Music Education. These experiences have provided her with a strong foundation in non-profit fundraising, outreach, and partnership building. Adele Person has worked at Bunnell Street Arts Center since 2007 and is currently the Managing Director. She is a mother of two school age children and is married to a 3rd generation Alaskan fisherman. Person has participated in many Homer groups and coalitions over the years like Safe Routes to School, the Woodard Creek Coalition, Homer Cycling Club, Peonies on Pioneer, and Pioneer Avenue Revitalization. She cares for several town gardens, including the Post Office, in addition to her own vegetable garden. She has also been part of Homer’s arts scene through the Kenai Peninsula Choir, Pier One Theatre, Wearable Arts and various other art inspirations. Person has a BA in Philosophy from Rice University (’00) and worked with the Museum of Fine Arts, Houston, the Contemporary Art Museum and the Menil Collection in Houston when she lived there. Upon moving to Alaska, she was self-employed for many years in Halibut Cove and brings a broad and diverse skill set to living creatively here in Alaska. Linda Rowell is a retired educator who has taught in Maryland, Illinois and Alaska and has worked with students from preschool through college. She has been an active volunteer at the Pratt since moving to Anchor Point over 15 years ago. During this time she worked as a docent with school groups, developed educational materials, served as a National Park Service Laureate interpreting the bear camera, led the Harbor Walking Tours for summer tourists, and helped make countless gingerbread houses at the annual Stocking Stuffer Party. Active with the Patrons of the Pratt Society, most recently Linda completed two terms as president. Prior to that she was the president of the Anchor Point Public Library Board for five years, where she wrote their newsletter and ran their summer reading program. Rowell was elected to serve on the Board in 2012 and is serving a three-year term. Jessica Shepherd has resided in Alaska since 1993. She has lived in Homer since 2009 and is employed at the Kachemak Bay National Estuarine Research Reserve as the Reserve’s Education Coordinator. She has worked with several non-profits, including serving as the Executive Director for Friends of Creamer’s Field in Fairbanks, Education Coordinator for the Alaska SeaLife Center, and board member with the Homer Garden Club. 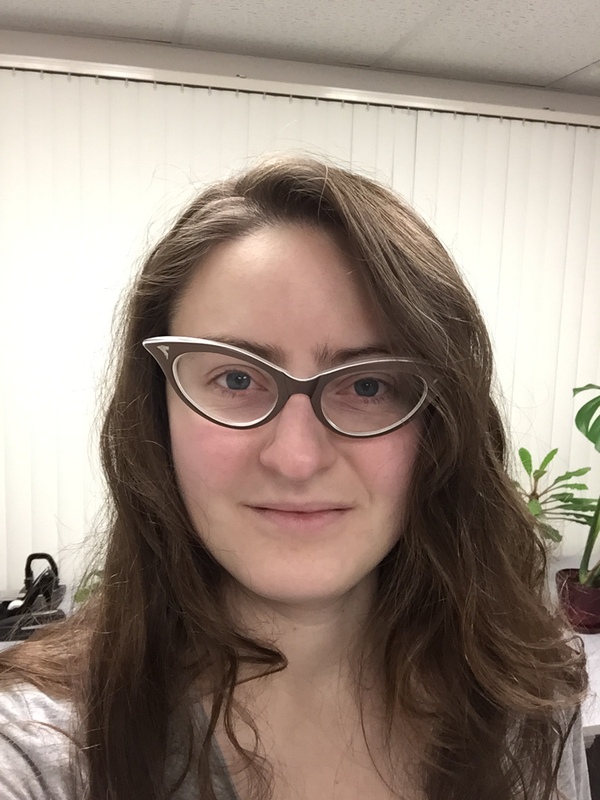 Jessica holds a BS in Environmental Biology with a focus in ornithology from Colorado University, Boulder, and a MA in Northern Studies from the University of Alaska, Fairbanks with an emphasis on wilderness values. Her primary interests include advancing knowledge and appreciation for coastal ecosystems, and furthering the dialog on climate change resiliency.